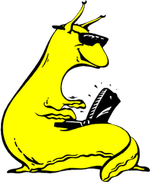 The Ground Station Software has been developed to decode the incoming telemetry messages from the SLUGS AP. 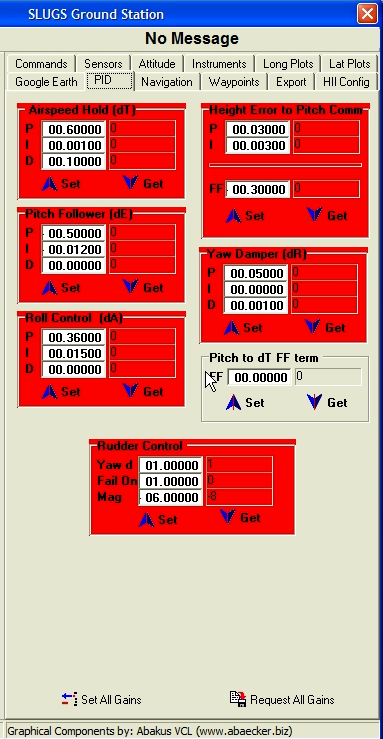 It also works as a Hardware-In-the-Loop interface to Simulink and is the central point to configure the Autopilot. Graphical instruments. 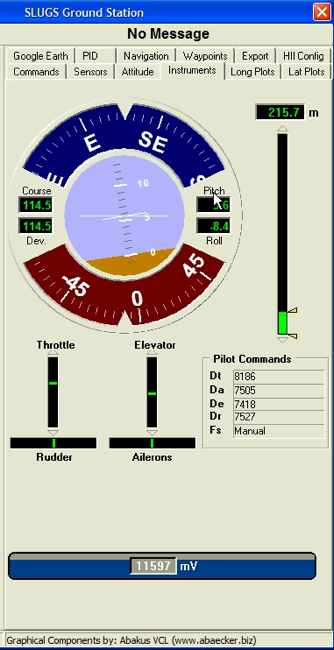 It displays pilot console commands, attitude, barometric height and battery level. Data Plots. Show real-time data plots of commanded VS. Measured plots in the lateral and longitudinal channels. Export/Decoding. 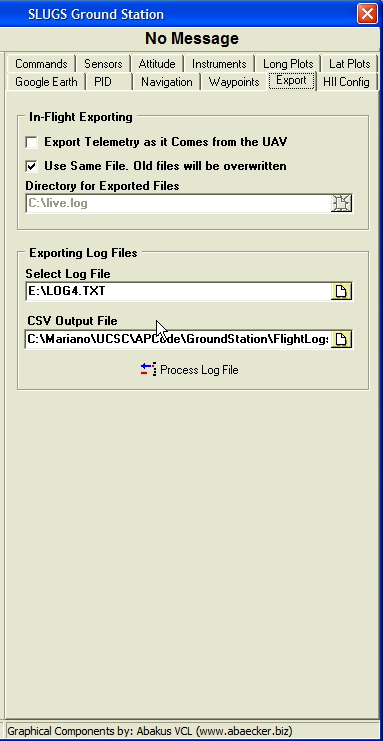 Exports the telemetry sentences as they are received from the SLUGS AP to a csv format ready to be imported in Matlab for plotting or offline analysis. It can also decode and export recorded telemetry from the onboard data logger. Hardware-In-the-Loop. 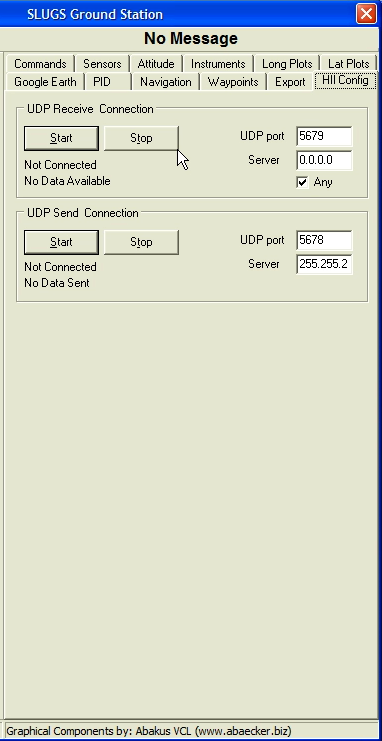 It configures the UDP port and IP address to communicate with the Simulink HIL simulator. 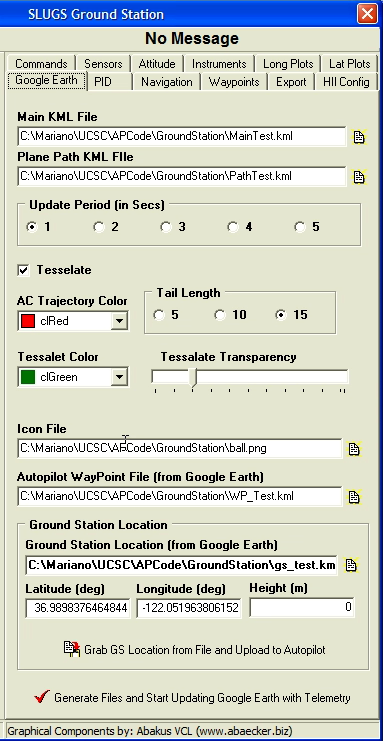 Google Earth Configuration. 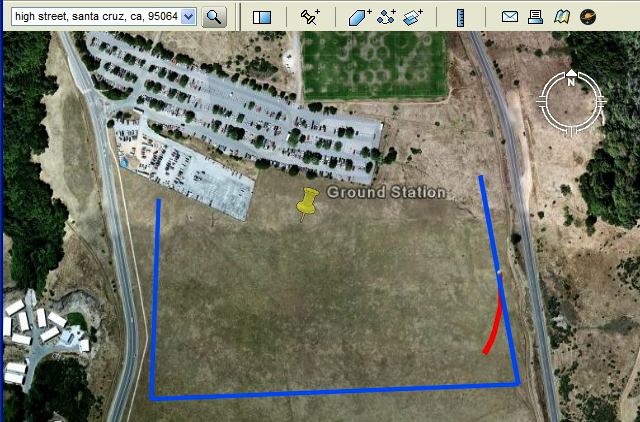 Configures how the ground station software interacts with Google Earth to display the UAV trajectory. You can choose colors, icons and refresh rate of the UAV trajectory. 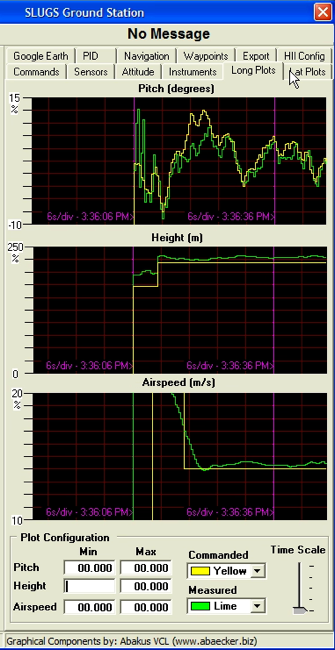 Telemetry. 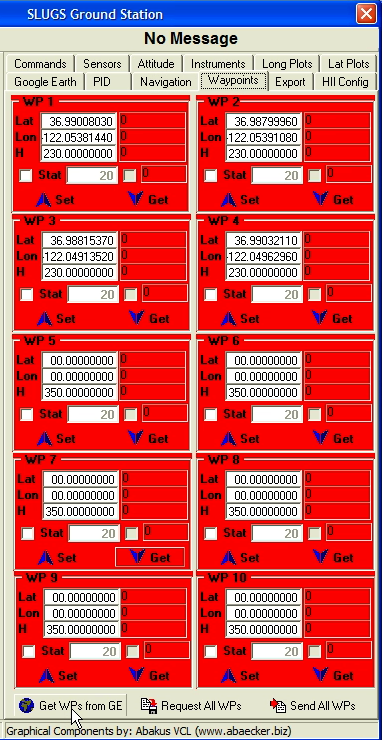 Display all the telemetry sentences in numeric format. Google Earth Plot. Soft real-time Plotting of the UAV trajectory in Google Earth. PID Configuration. 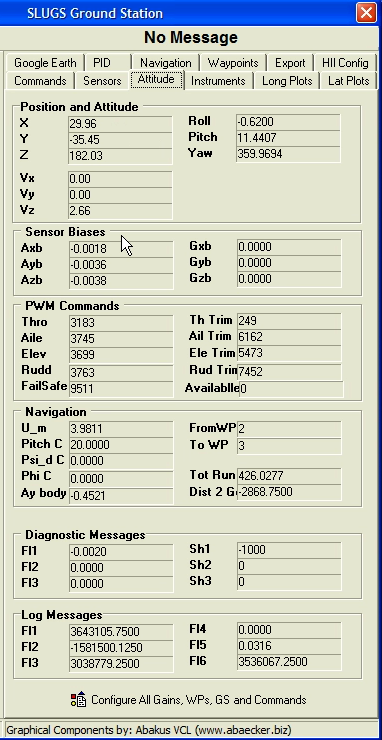 Configure all the PID gains for the autopilot. Waypoints. Read the waypoints from a Google Earth file and upload them to the autopilot.